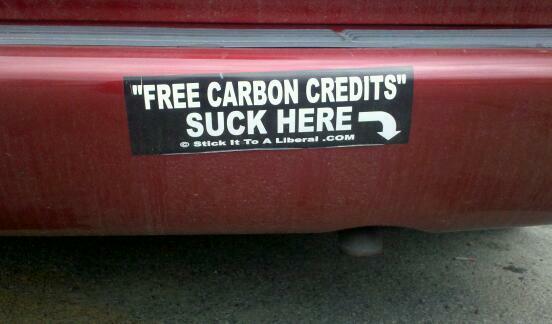 The choice for Best Bumper Sticker of the Year was a tough one. I appreciate the nominations from readers. My choice came down to which bumper sticker most concisely and vividly reflected my mood and the mood of Legal Insurrection readers. 1st Place – “Actually, No One Owes You Crap” – pretty much sums up the disgust with the entitlement state and entitlement mentality. 2nd Place – OMG WTF – which stands for Obama Means Good, Win The Future. Updates – Worst Bumper Sticker of the Year, Best Tweet of the Year, Worst Tweet of the Year. I think I saw a sign of the coming apocalypse last night…..Barnes and Noble has a “NOBAMA 2012” calendar complete with a countdown to his dethroning. Granted, this was in Florence, SC but still, when a bookstore is selling such, well wow! Great choices. Congrats to your husband!